Don’t have a FreshBooks account yet? Click here. Haven’t signed up for Kashoo? Click here. You will need your FreshBooks API URL and Authentication Token, which you will find by logging into your FreshBooks account. To learn how to find your API key, read “Where’s my API Key?” on the FreshBooks blog. Note: you must get the API Key as the administrator of the account; a staff API key will not work. 2. To set up in Kashoo, go to the Settings area in the top right hand corner. 3. Then go to the Add-ons page. 4. Select FreshBooks Classic from the options and enable the feature. Once enabled, you can configure the FreshBooks Classic connection within your Workspace. Name – choose any name you like, the name is used to distinguish one FreshBooks account from another if you choose import from multiple FreshBooks accounts; this is useful for multiple currencies or for categorizing different income differently. Record Income As – All income from a given FreshBooks account is recorded using the income account you enter here. Deposit Income Into – All payments on invoices are treated as a transaction on the given bank or cash account. If you tend to put the money in different places, choose the most common account you use and manually correct any payments that should be into another account. Record Client Credits As – FreshBooks has a feature called “client credits” such as when the client gives a deposit before their first invoice. To comply with accounting practices these client credits will appear on the Balance Sheet as a Liability. If you do not use “client credits” you may leave this field blank. Pay Expenses From – FreshBooks does not record how an expense was paid, thus all expenses are considered paid from the same bank account or cash. If you don’t pay all your expenses from the same account, choose the most common one and manually correct the ones that are not correct. If you pay expenses using cash or your personal VISA, choose “Cash” or “VISA”. Invoice # Prefix – FreshBooks invoices numbers are prefixed with this code to prevent them from equalling the invoices numbers generated by Kashoo. If you leave this blank, no prefix will be added, but you may have multiple invoices with the same invoice number in Kashoo, which can be a bit confusing. Start Date: This is the date from which you want to start pulling in transactions from FreshBooks. Setting a proper start date can be helpful in limiting the number of transactions pulled in and can avoid adding previous years' transactions when using the "Import All" button. Note: If you have more than one Accounts Receivable account, Kashoo will select the first Accounts Receivable account it detects based on alphabetical order. 6. Click ‘Add’ and your data will be loaded from the FreshBooks API. 7. 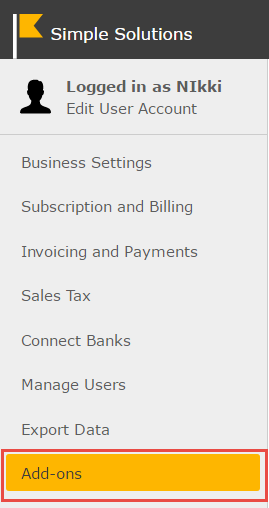 If you use expense tracking in FreshBooks, scroll down to the “Expense Categories” panel and make sure that each expense account that you use is mapped to the appropriate expense account in Kashoo. The FreshBooks import page is divided into parts: Clients, Invoices, Payments, and Expenses. Each part has a list of what is available for import, whether it has been previously imported or not, and whether it should be imported or updated from FreshBooks. You can review and import each item individually or you can click “Import All” to import all new and changed data for that part from FreshBooks. Click on an invoice number to open that invoice in FreshBooks. Click the Edit link to open an imported invoice or expense in Kashoo. Note: If you need to modify a transaction, modify the transaction from within FreshBooks. Once you make the changes in FreshBooks, then go to FreshBooks section within Kashoo and update your transactions. Changing transactions in Kashoo itself will cause conflicts.